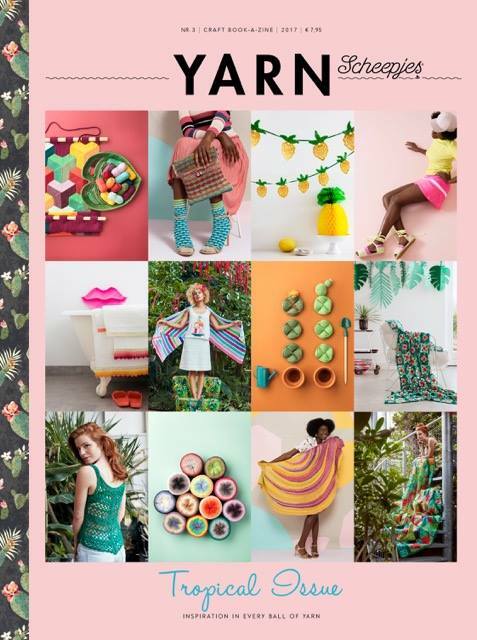 I'm delighted to tell you that I have two new designs in this Tropical issue of the Scheepjes YARN Bookazine (issue 3), and there are so many absolutely stunning projects I am thrilled at being included in the same publication. Early rumours are that this is the best issue yet! 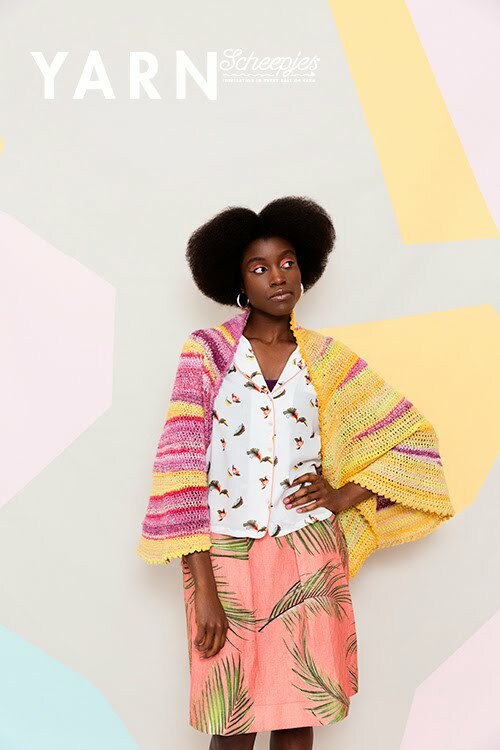 I have only seen a few preview images so far but this beautiful crochet shawl by the equally gorgeous Nerissa Muijs is currently top of my "Must Make" list - I think it will be perfect for our summer holiday. 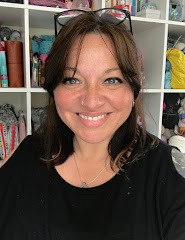 I can't wait to show you more but have to go out so I'll pop back tomorrow to show you my own designs and to tell you more about this issue of the bookazine and how you can get a copy!